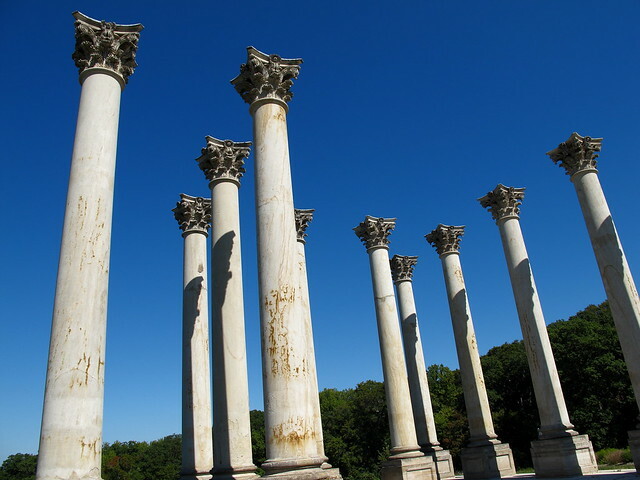 National Arboretum Columns | Flickr - Photo Sharing! Sandstone Corinthian columns from the east portico of the U.S. Capitol, circa 1828, now stand in the National Arboretum in northeast Washington, DC. The columns were replaced during a renovation and expansion of the building in the 1950s.